Gabriel Glas Set of 2 (p/n 96817). Choosing a suitable glass is often more difficult than choosing the right wine. With this one-for-all design, there is no need for a cupboard full of glasses. Aromas unfold as the wine expresses itself in this unique lead-free crystal glass thanks to the conical shape and bouquet-driven design. Restaurants, tasting rooms and oenophiles love this durable glass that brilliantly and simply showcases the finest qualities of all wines. Set of 2 glasses. Includes black gift box. Brand new! 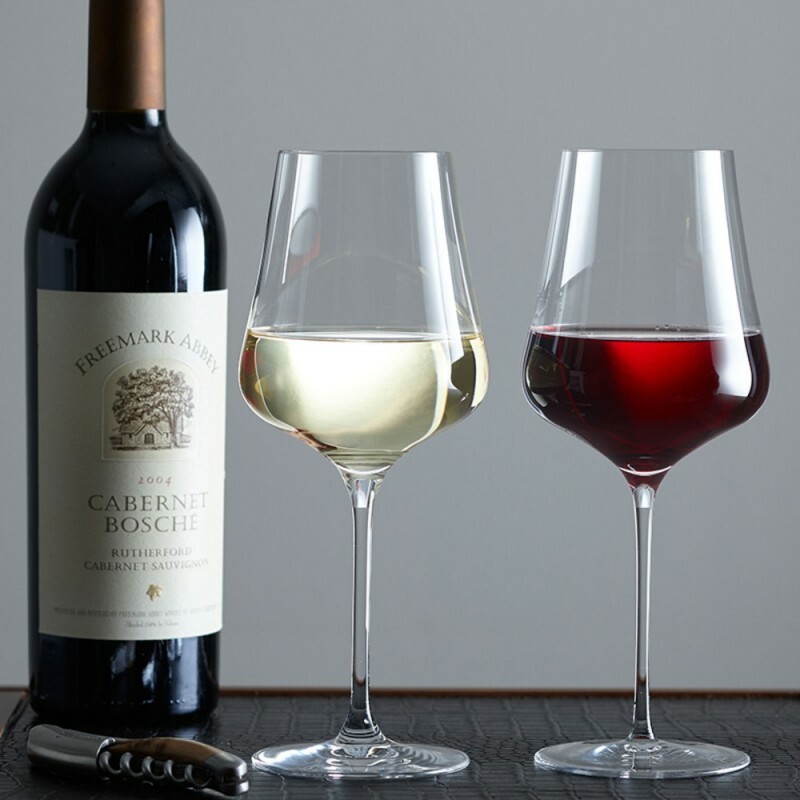 This elegant glass was designed for universal use to compliment red and white wines alike.